If you are looking for some quality athletic shorts that can also improve your performance and reduce recovery time, then you need to take a look at athletic compression shorts. After an intense workout, having the best compression shorts that prevent chafing and wick away moisture is a bonus. Made of spandex-like material, compression shorts are form-fitting shorts that are worn just like regular shorts, although you don’t wear underwear underneath them. Since they are very tight, some people prefer to wear gym shorts over them while others prefer to wear them by themselves. Here are a few tips on what to look for in the best mens compression shorts and a few reviews to help you start your search. When you are wearing a piece of clothing that is really tight, sizing can be tricky. It is important to have a really good fit when it comes to compression short, so you will need to do some measuring. Make sure to measure your inseam, waist, and hips. When measuring your waist, measure around the smallest part of your body and then focus on the fullest part for your hip measurement while your inseam measurement should run between the top and bottom of your inner leg. Every manufacturer has their own sizing chart, so make sure to reference the correct chart for the brand you are purchasing. Remember, there is no such thing as a universal size for compression shorts. They are very specifically made for targeting your muscles, so you need to make sure you are getting the right fit. You will find that compression shorts will come in different compression levels, each of which will provide a different amount of pressure to increase the circulation in your muscles. The compression level you need depends on the type of exercise you are planning to do while wearing your shorts. Make sure to do some research and find the right type of compression shorts for the activity you have planned. Compression shorts are available in all sorts of colors and shapes that you use to personalize your style. Since there aren’t any unisex sizes, you will only find that compression shorts are sold based on gender. 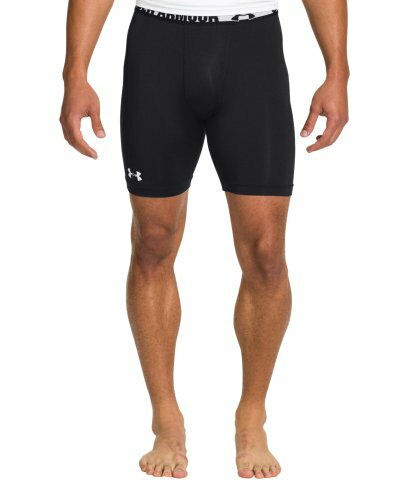 If you are looking for compression without restriction, the Under Armour Men’s HeatGear Sonic Compression Shorts are made of a smooth fabric that provides compression with extreme comfort. These compression shorts are designed with a 4-way stretch fabrication that gives you better mobility and helps to maintain their shape. Under Armour’s Signature Moisture Transport System wicks moisture away from your skin, and it’s anti-odor technology stops odor-causing microbes from growing. These are chafe-free compression shorts with flatlock seam construction and an elastic closure. Here are a few pros and cons of the Under Armour HeatGear Compression Shorts. Provide good compression and are perfect for running. Good at preventing chafing, durable, and comfortable. Good length, work well under shorts when you are working out. Tight in the waist for some people, be careful when choosing your side. 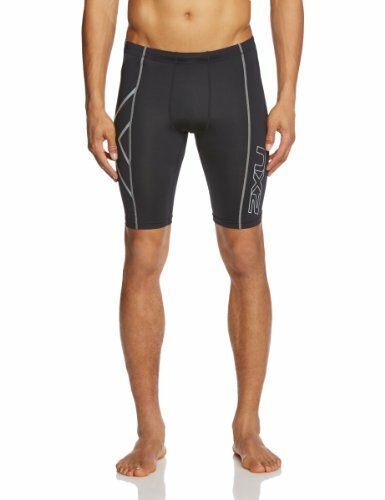 When you want the optimum amount of compression support, check out the 2XU Men’s Compression Shorts with their Medical Circular 70 Denier knit construction. The 2XU Compression Shorts have 360-degree pressure that is consistent, but powerful. The 2XU protects and supports your abductors, quads, glutes, IT band, hamstring muscles. Engineered with the powerful PWX FLEX fabric, the 2XU Compression Shorts support and wrap crucial muscles in the upper leg while lessening muscle oscillation and letting muscles operate efficiently. When muscles are healthy, they have less fatigue and targeted compression helps to increase circulation for overall better health. Graduated compression technology provides targeted pressure that is structured and gives you better performance while you are exercising. After your workout, you will feel less muscle fatigue, better circulation, and by-products are flushed away. 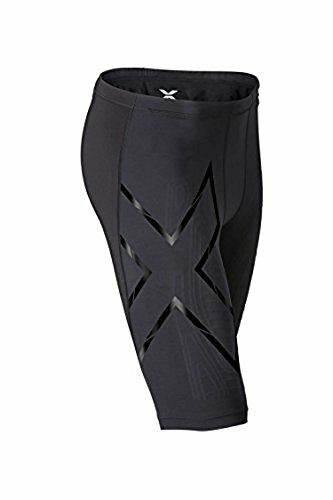 You will get better pressure and benefits from the therapeutic rated fabric of the 2XU Compression Shorts that will also help repair your muscles faster. These compression shorts are suitable to be worn on their own or under competition uniforms. Made with a lycra-blend material, they also feature a drawstring closure. Let’s look at a few pros and cons. Have a good fit and feel, great compression. Give you more energy when you are working out. Waist is lower than other compression shorts. Depending on your workout, you may require compression shorts that help to protect your muscles against trauma during intense activity like the Elite MCS Compression Shorts by 2XU. 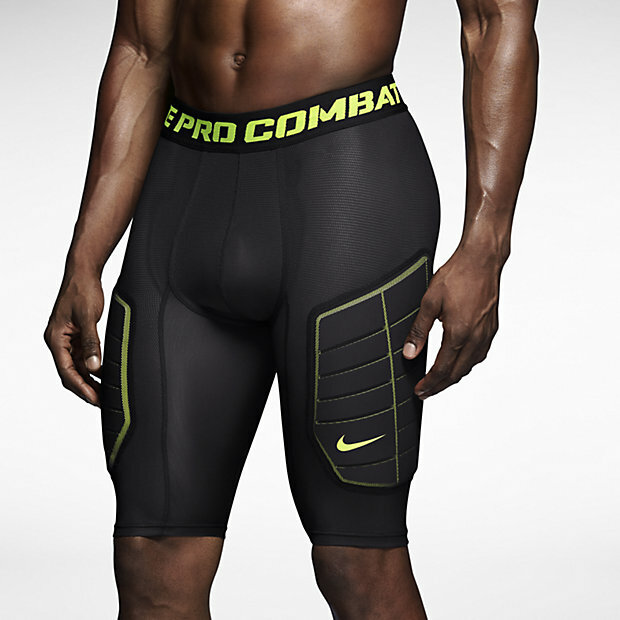 Their next generation Compression technology offers targeted compression with MCS (Muscle Containment Stamping). Greater compression power is outlined on key muscle groups with this revolutionary fabric support system which wraps specific muscle areas and lessens muscle damage and oscillation. The front sections of the compression shorts are designed with their strong PWX FLEX fabric that is combined with quad focused MCS. The rear sections are created with the robust PWX WEIGHT fabric that gives you good support for your hamstrings. The PWX FLEX fabric also gives your front leg muscles support with compression aimed at your quads while the PWX WEIGHT fabric also gives your back leg muscles supports with compression targeted at your hamstrings and glutes. Invista Lycra has graduated compression that increases your circulation to lessen muscle soreness, plus faster recovery after workouts all while giving you a superb fit. The 2XU Elite also features antibacterial properties that stop odors, and the 50 UV fabric helps to give you added protection against dangerous UV rays. Flatlock seams lessen chafing for better comfort and a drawstring waistband for an adjustable secure fit. You’ll get more endurance, power, and intensity with the 2XU Elite’s targeted compression that wraps key muscle groups. Moisture wicking helps to keep your skin dry and comfortable while next-generation technology will help you recover faster by increasing your blood flow and circulation during and after your workout. So what are the pros and cons? Work really well in holding off muscle fatigue. Comfortable and they stay in place well. Provide good compression and they are light, snug, and breathable. They are a little on the long side for some people. If you are looking for a middle of the road, all-season compression, the SUB Sports DUAL Compression Shorts is definitely worth a look. Ideal for fall weather, these compression shorts helps to improve blood flow to your muscles while increasing recovery time. Sub Sports uses a 4-way stretch fabric featuring UV protection with anti-chafe flatlock seams, so you can play your favorite game in comfort making them the best compression shorts for basketball. This is a special edition product from Sub Sports that comes with a base layer that is mid-weight and can be used in all seasons. They are well-built and durable with built-in muscle power with endurance compression fit qualities. You’ll also stay dry and comfortable with the moisture wicking fabric that moves sweat away from your skin. Here are a few pros and cons of the SUB Sports DUAL Compression Shorts. Gives a really nice, snug compression fit. Help you stay cool and comfortable. Length is perfect for either squats or running. For targeted compression, the Mava Men’s Compression Shorts will help you protect your muscles from trauma while you are training, and they can be worn by themselves or as a base layer. The Mava Compression Shorts give your upper leg muscles support and lessen muscle vibrations while also making your recovery time faster by lessening muscle fatigue and soreness. 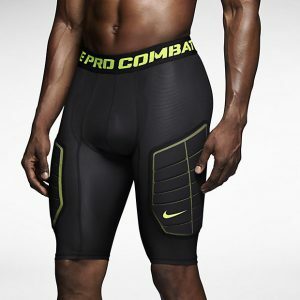 They also help to prevent long-term overuse injuries which make them the best compression shorts for weightlifting. Performance is boosted with faster warm-ups and better power output during your workout. Plus, they have UVA/UVB and antibacterial protection when you are working outdoors. Their breathable fabric wicks away moisture, plus their lightweight, elastic materials gives you increased comfort with a wide range of motion. So, what are the pros and cons? Athletes love these shorts for several reasons. One of the most important is that they stop chafing which is a great feature, especially if you are training or running a marathon. Even if you aren’t training for a marathon, compression shorts still provide several good benefits including stopping skin rashes from your thighs rubbing together, and many of these shorts are designed to wick away moisture making them very comfortable to wear. Go Here for the full benefits of compression shorts. How do Compression Shorts Work? Compression shorts work by squeezing your muscles to increase the performance of your body. Your body will have a more efficient lactic acid clearance and an increase in the volume of oxygen that you are able to use as well as an increase in the energy that you create from that oxygen. Graduated compression helps you to increase your blood flow while constricting your arteries and veins just enough that your blood gets pressurized so it flows faster to and from your heart. Increased blood flow carries oxygen and nutrients back to your muscles while keeping lactic acid from collecting and improving your muscle’s recovery time. Compression shorts are designed to have a series of angled elastics strategically placed to give you compression in targeted places. Studies have shown that compression shorts will reduce you VO2max by almost 26 percent. The best compression shorts should be able to improve your performance and lessen your recovery time after your workouts. You also want to make sure you find shorts that will stop chafing and wick away moisture. There are lots of options on the market, so it should not be too difficult to find the best men’s compression shorts, just make sure to read the reviews and get the sizing correct so you have the best compression fit possible for the activities in your life.